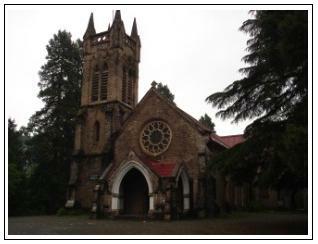 Nainital was discovered in 1841 by a Britisher called Lord Barron. The weather, the surrounding and the mesmerising beauty of this area attracted the British administrator who turned Nainital into the summer capital of the United Province. Being a major tourist place Nainital is always bustling with visitors and it is always better if accommodation and other facilites are prearranged. The Snow view point is located at height of 2270 meter from the sea level. This place can be reached by the ropeway or the ponies available at the Mallitaal. 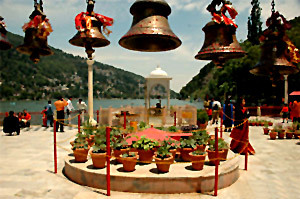 Naini Lake or Naini Taal, the picturesque blue green lake is located in the district of Nainital. 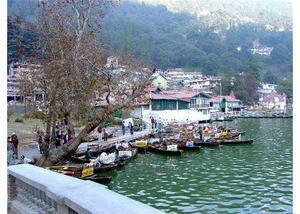 It is from this lake that the city of Nainital, the beautiful settlement by the lake, derives its name. 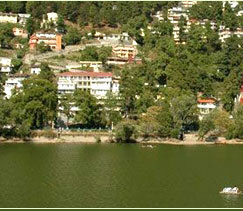 Naini Lake is so called because of its eye-like shape. 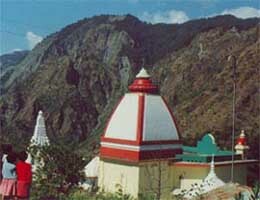 Known as the China peak this peak is the highest point in Nainital. From here Nainital appears as a bowl. You can walk or take ponies to the peak. From this peak you can capture the exciting views of Nainital. Naina peak also gives a good view of the Camelback peak. There are no hotel or restaurant on the top so carry food and water along with yourself. Kilburi is slightly away from Nainital. 12 kms from the main town, this place is peaceful and quite. 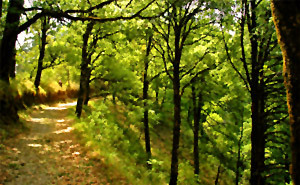 Located amidst green forests this place provides a break from crowds of the city. Kilburi gives a very good view of the Himalayas. The forest department has got its guest house here. Kilburi takes you into the laps of nature from rush of the cities. The clear skies over Nainital prompted the government to setup an observatory here. The observatory has one of the most advance telescopes in India. With the help of this telescope the movement of stars, planets and other heavenly bodies can be calculated to great precision. The entry in the observatory is by permission and timings are fixed. It will be better if you collect the prior information about the place. Naini Tal has a small but a very beautiful Zoological garden. 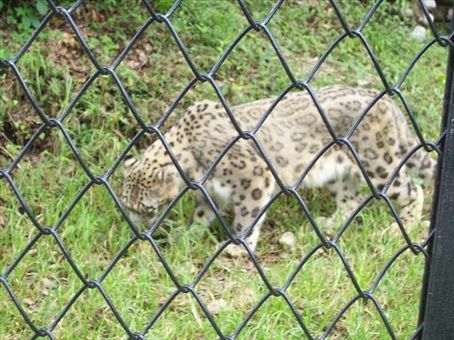 There are many animals kept here which includes Deers, Bears, Tigers and many more. The hygiene and cleanness of the zoo is a point which attracts the mind even if one ignores it. Not surprising this zoo is one of the most clean zoos in the country. 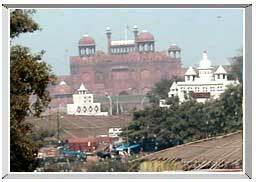 The zoo can be reached on foot or taxi can be hired. On the way from Nainital to Bhimtal is a group of seven lakes called the Sattal. Nature has really provided this place beauty in abundance. There is government Bunglow where you can spend the night. 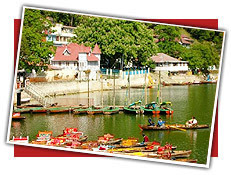 Taxis and buses are available to Sattal from Nainital. It is 22 Km from Nainital. The myth goes that the lake was built during the Mahabharata era. You can get taxis and buses at regular interval from Nainital. On the Nainital-Bhimtal road is Mahra Village. Here through the efforts of Dr. Yashodhra Mathpal a rich collection of the cultural and archeological items have been made. These artifacts from the Uttrakhand region gives you an insight into the cultural heritage of this area. At Bhimtal you can enjoy boating and have food at the restaurant on the island in middle of the lake. 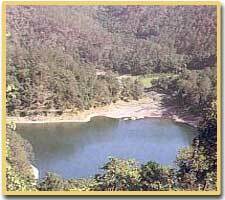 Bhimtal is 23 kms from Nainital and there are good accommodation facilities at the place. Just four kms from Bhimtal is lake with nine corners hence it is known as the Naukutchia lake. This is an ideal place to spend your holidays and relax. The lake is full of lotus and is surrounded by forest with a backdrop of the mountains, all this creates an ideal condition to enjoy boating in here or sit on the banks and feel the breeze coming from the lake. 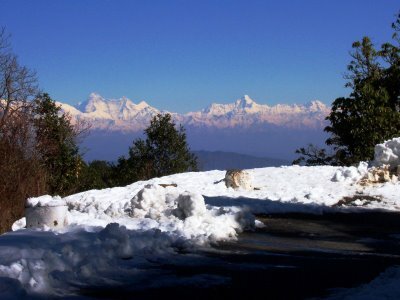 There are regular bus and taxi services to this place and the Kumaon Mandal Vikas Nigam has got its rest house where you can stay.